TweetChats are huge and can make the creator very popular and a respected expert on Twitter. But how do you create a successful TweetChat? In this guide, you will learn what a TweetChat is, how to register the name of the TweetChat, how to engage users of a TweetChat, and the elements that can make it a success. TweetChat is a planned “chat” on Twitter that organizes a group of people with similar interests in a particular subject matter. The host of the TweetChat is the person or brand representative that arranges the TweetChat and then promotes it to their followers by picking a regularly scheduled time for the chat to happen. Most chats are either weekly, biweekly, or monthly and are 30 minutes to 1 hour in length. TweetChats allow you to meet many new people quickly on Twitter by creating this “virtual networking event.” Most people that participate in a TweetChat say they really feel like they are bonding with the participants and hosts. Some TweetChat experts line up individuals to be “interviewed” during the TweetChat hour. This extends the TweetChat reach by having the interviewee market the chat to their followers. It’s not uncommon for some TweetChats to have 3 or 4 experts being interviewed together during one chat session which really expands the reach. 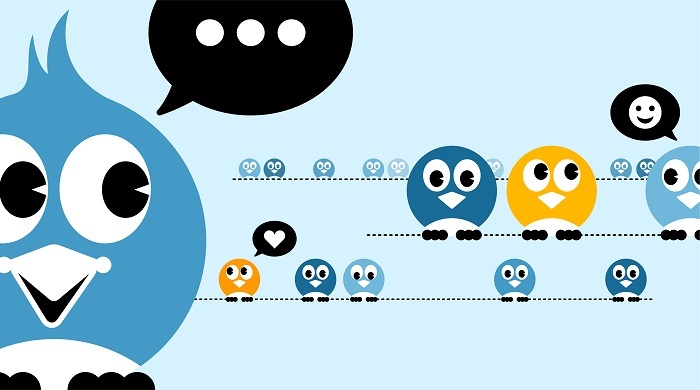 Think of a TweetChat as an interview or conversation with people who have similar interests. For example, if the chat is in the interview format, the host asks the expert guest a question, and then the expert answers for all to read and perhaps comment on or retweet. All tweets are linked by a common #hashtag around the subject matter. Hashtags were created to develop a grouping on twitter; as participants include the same hashtag within their tweet they will all be “grouped” or read together in a stream of such tools as TweetDeck.com or TwitterFall.com. You should consider starting a TweetChat if you want to build your following, set yourself up as an authority on the topic, connect with your industry experts (by having them as a guest on your chat), or want to build your brand and potentially sell products and services to your followers. How to Set Up and Promote Your TweetChat? To set up your TweetChat, you first need to select a TweetChat name or hashtag. Try to come up with keywords that signal what you’re about to the reader. Once you come up with your hashtag you will need to register it. This is not an official rule, but is still important. If someone else uses the hashtag in their marketing after you begin using it, you will have an edge if you have to take legal action because you registered the hashtag before they began using it. Once you register the hashtag you can begin to promote your TweetChat in your tweets, on your email signature, in your newsletter, etc. It’s important to pick a specific day of the week and time to host your chat. Reach out to people on Twitter and personally invite them to participate in the chat. You can even create a video to promote your TweetChat and put it in your Twitter bio. Make sure you have questions to ask during the TweetChat. As people respond, reply and remember to include the hashtag in each and every Tweet. Find great guests to interview during your TweetChat and promote that during the week or weeks beforehand. Provide a transcript of the chat to users the next day. This way you can collect emails of attendees and all sorts of information. The participants will love the transcript and will be sure to attend next time if the content is helpful to them. Always provide the date and time of the following TweetChat so the users will put it in their calendar. As your TweetChat gains momentum you can give away prizes and even get businesses to sponsor your TweetChat. Just think, this could be a revenue stream! If you search for Twitter Transcripts apps, many will pop up. A best practice is to copy the stream into a word document immediately after the chat, and then either edit accordingly or post it in its rough format. TweetChats are entertaining, informative, fun, and genuinely a great learning portal for hosts and participants. Many claim they learn more during TweetChats than anywhere else online. TweetChats also expand your network quickly with like-minded folks, creating a unique bond among participants, and are a savvy way to grow your visibility, connections, and business. Happy tweeting! Previous articleHow to Use the Excel 2013 Quick Analysis Tool?